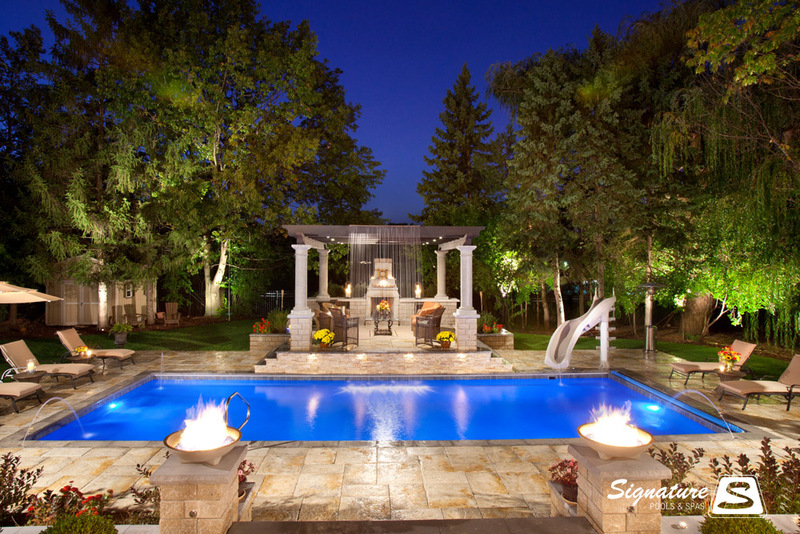 The Grand Elegance model pool is one of the largest fiberglass pools available. 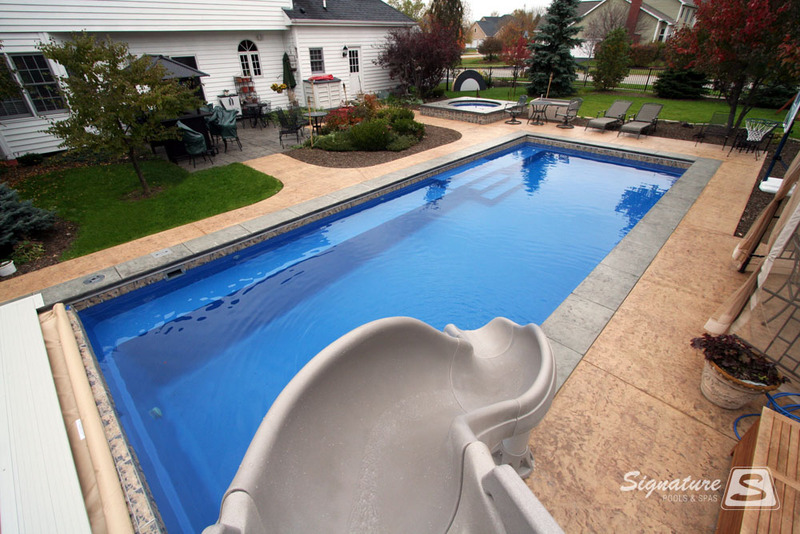 With the unique stair design it opens up the pool giving the pool much more usable square feet of water. 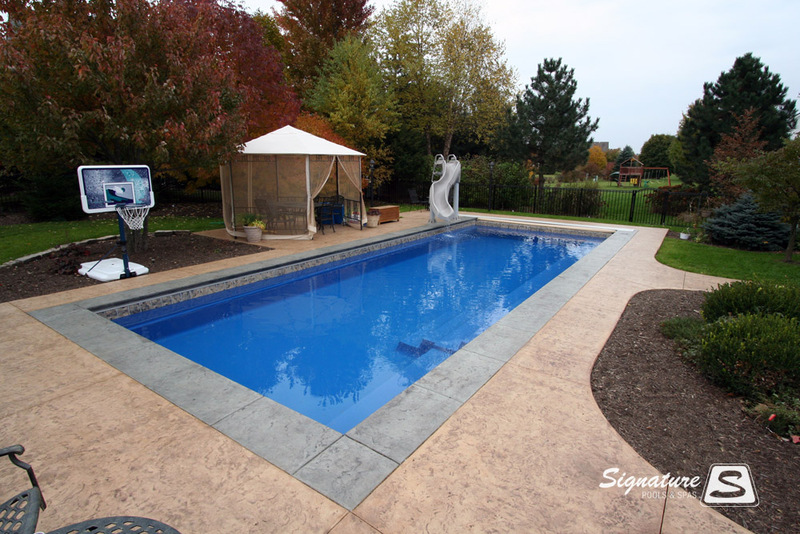 Without steps hindering the available space in the shallow end this pool works exceptionally well for laps. 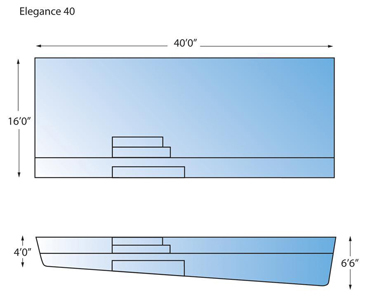 This 40′ x 16′ pool is also a true rectangle which allows for the installation of a recessed automatic pool cover. This classic design also allows generous seating for the whole family. Spa jets are a great accessory to consider with the large seating area available. 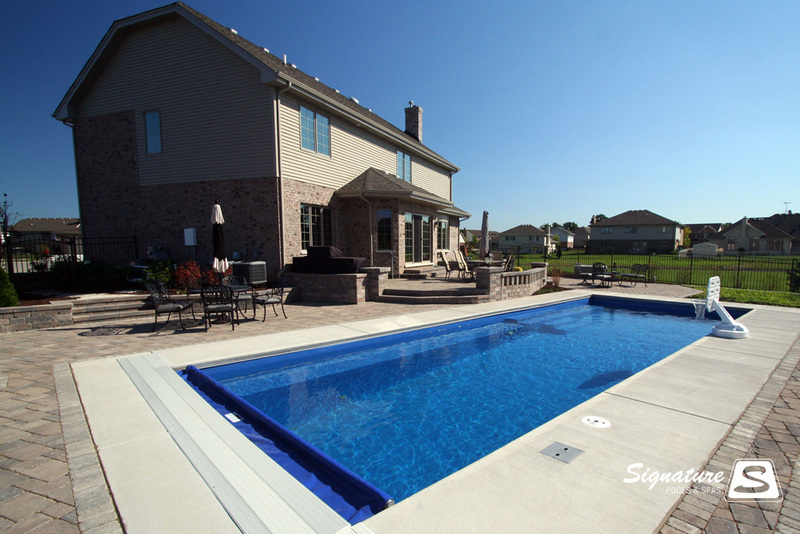 To see pictures of Grand Elegance model swimming pools we’ve designed and built here in Illinois just click on any of the pictures in the blue bar above.